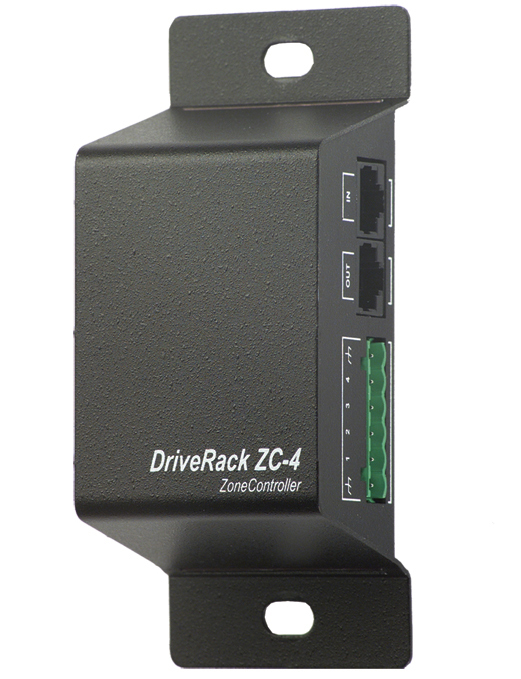 The remote device shall provide programmable program selection via contact closures for the dbx® DriveRac®k 220i and 260 devices. The remote device shall also provide contact closure programmable source selection, page assignment, or scene selection for the dbx ZonePRO™ devices. The remote device shall have DIP switches allowing identification with connection to the processing device via CAT 5 cable on RJ-45 connectors. The device shall be a dbx ZC-4 remote controller.